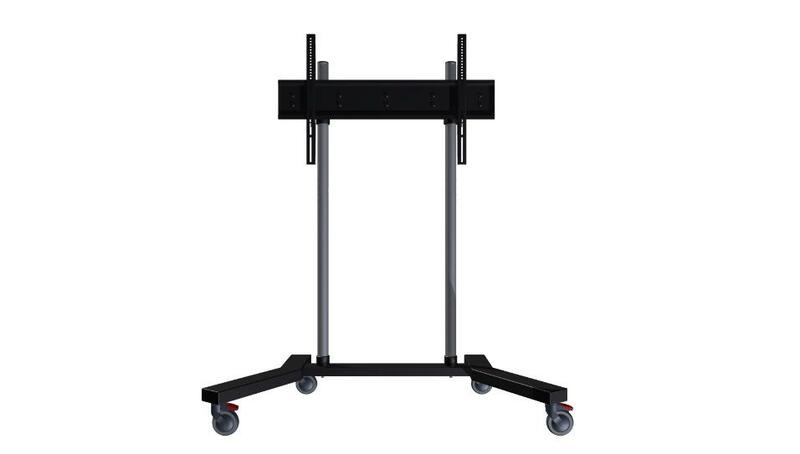 Mobile floor stand for large monitors very robust steel. Monitors 60 " and 95 ". The support consists of two pillars of 1700 mm chrome steel that allows the height of the adapter along them. It includes adapter vesa 800x600 mm and a total of 80 kg. . Internal cable management. Very resistant industrial casters, two with brakes. SOPORTE DE SUELO MÓVIL PARA MONITOR TRAULUX VESA 800x500 mm.